Includes over 300 buildable parts and random loot? alternate armor or weapon? in each set! 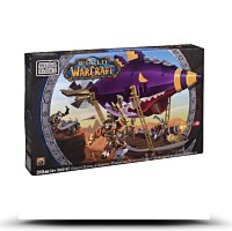 Buildable Goblin Rogue, Tauren Paladin and Worgen Rogue micro action figures with customizable gear and weapons, featuring highly collectable Judgement armor. 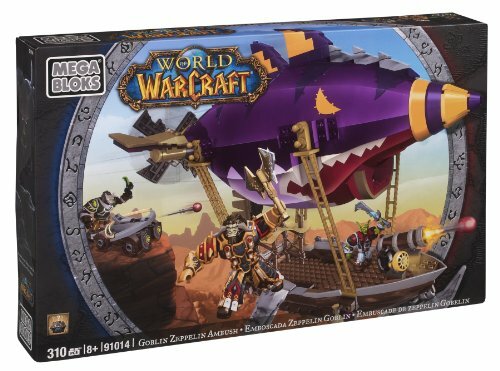 Buildable and iconic Horde Goblin Zeppelin with cannon launcher. 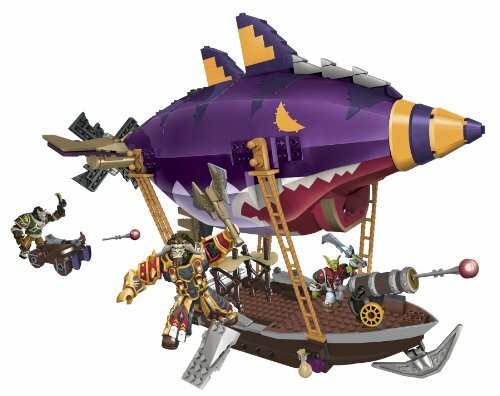 From World of Warcraft by Mega Bloks, build and customize the Goblin Zeppelin airship, featuring a certain balloon and a brick-blasting cannon launcher. Get ready for battle with Krazzle, the Goblin Rogue, and Light Hoof, the Tauren Paladin, featuring the extremely collectable Judgement armor. Ideal for ages 8 and up. Also contains a random loot drop – armor or weapons – to add to your collection! 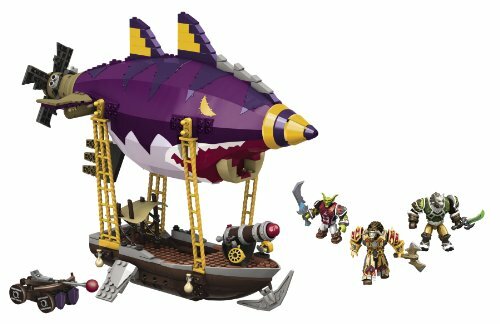 Or stage a counter attack with Darkhowl, the Worgen Rogue, with his buildable Alliance crossbow as he plans a sneak assault on the Zeppelin.